← Gifts in a Snap! 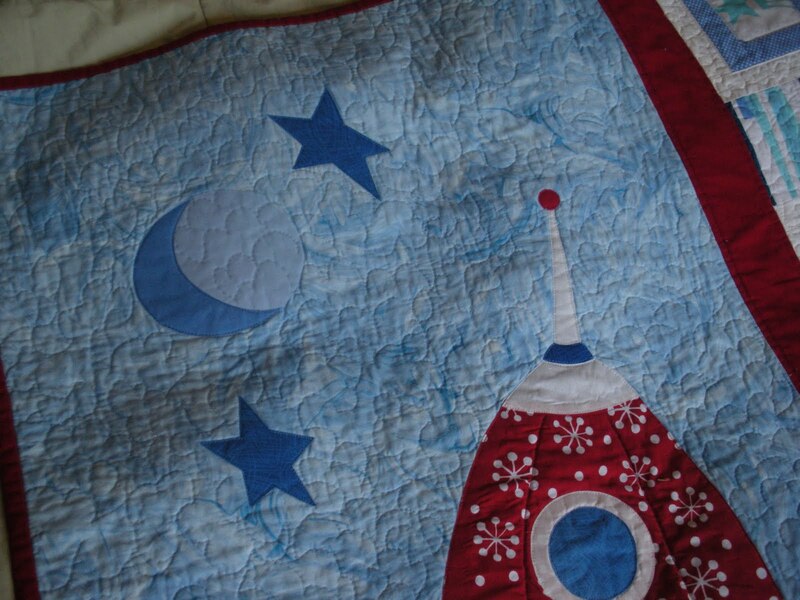 I fussy cut scraps from the Prints Charming fabrics I used to make the rockets, and framed that out in various shades of blue… Then free-handed a rocket ship which I machine appliqued (raw-edge) after fusing on. The stars and the moon are also scraps from the Prints Charming line. I tried a new free-motion quilting technique, trying to get a cloud, or atmospheric look behind the spaceship. What do you think? 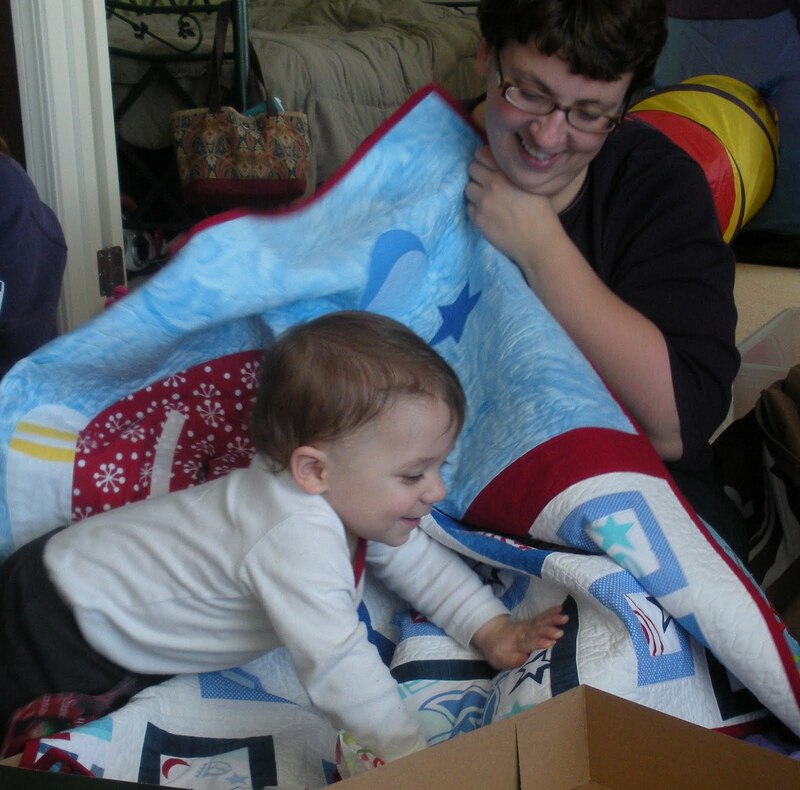 That’s my sister, and baby Jonah immediately “cuddling in”! He did pause to pose with his gift, just like a champ, though! 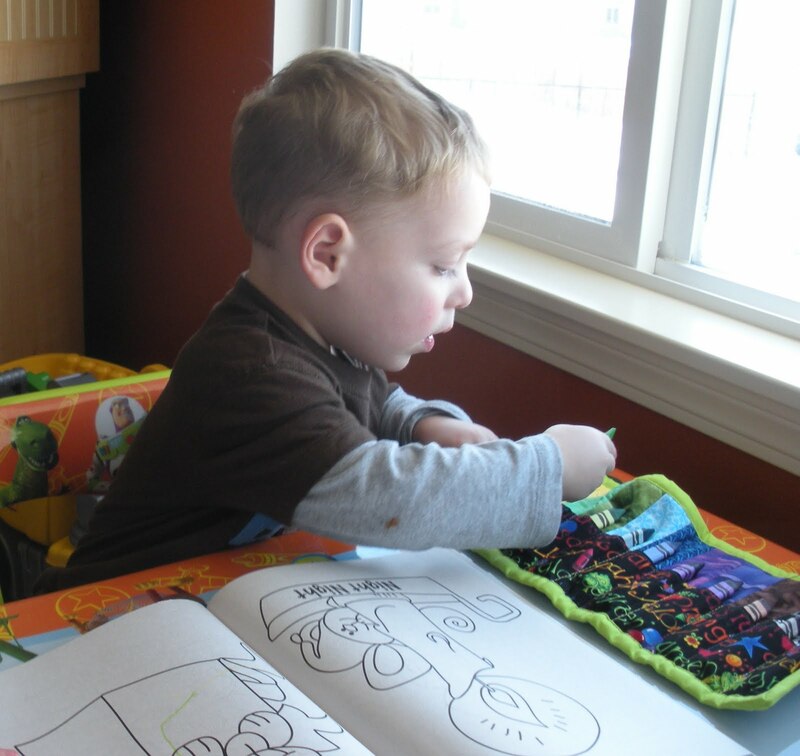 He moved to his table right away to “get to work”! See? This is why I love to make gifts! 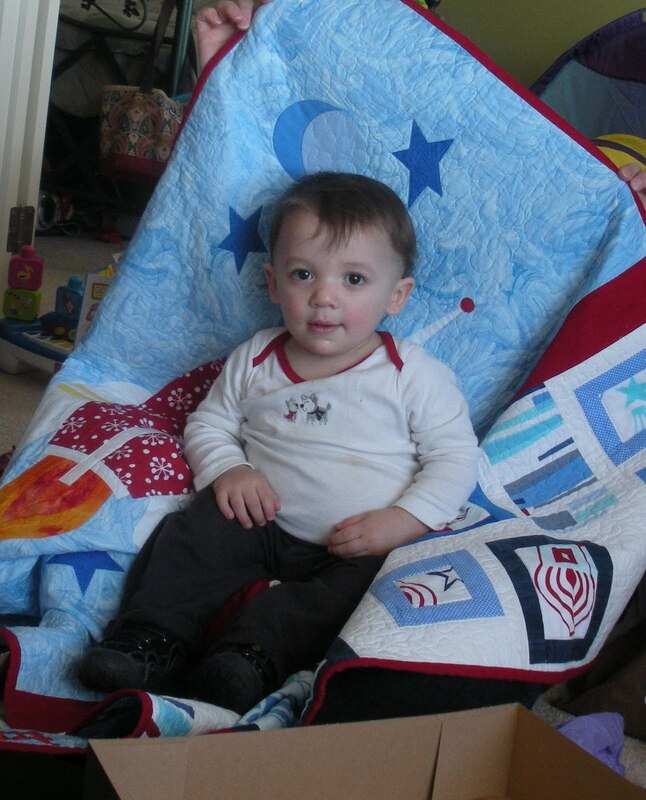 What a special quilt — he will love it! 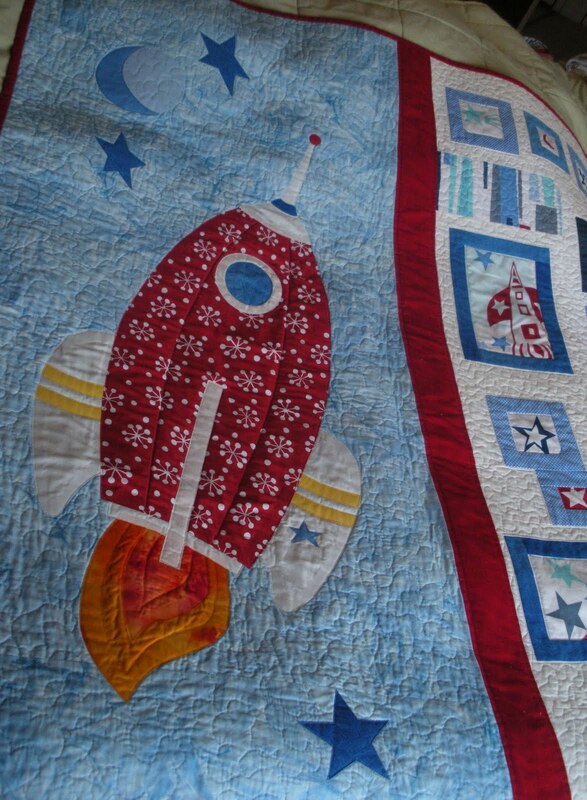 Love the quilt – and the quilting is perfect for the theme. 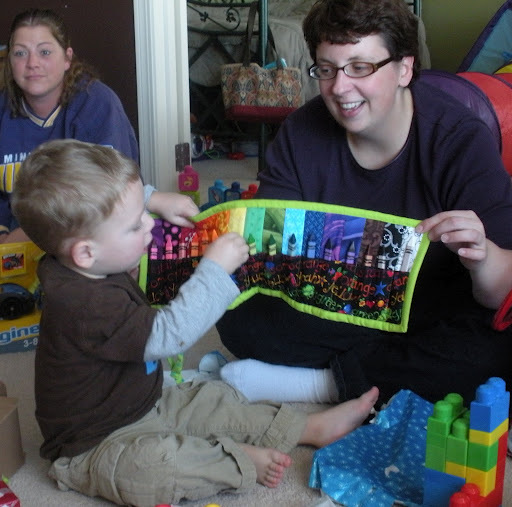 I'm planning to quilt two story quilts for my nephews this weekend – appreciate the inspiration to go beyond meandering. Fabulous!! I can see it feels so good! That quilt is wonderful! I'm so impressed that you designed that rocketship yourself! Can I get you to draw all my appliques? 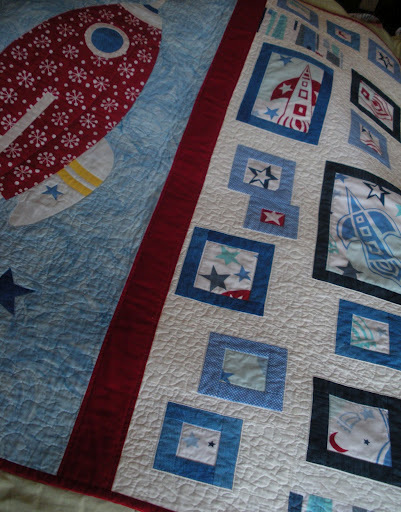 Your quilting design works well with your theme. And wow, do you and your sis ever look alike! this quilt is so cute! I love how you used a large focal point on the left and then accented it with the smaller blocks! Beautiful job! 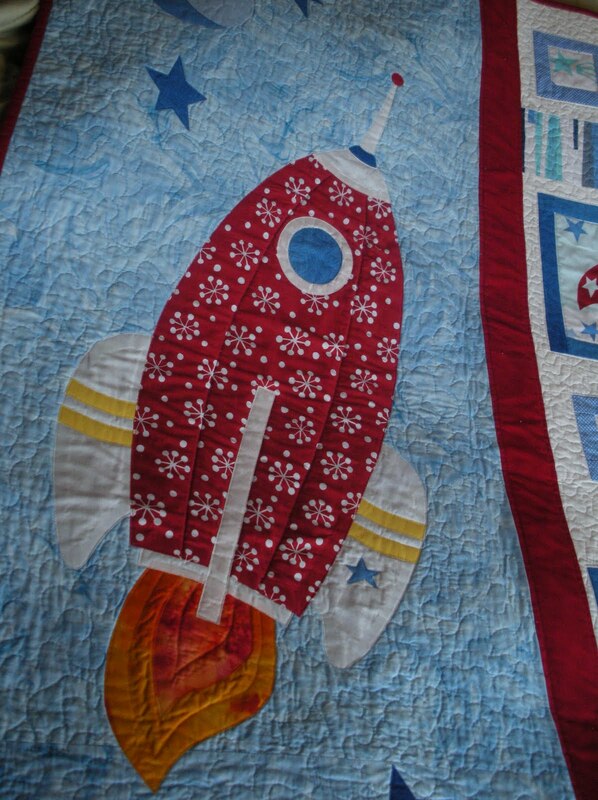 The rocketship you pieced is amazing! What wonderful gifts. I have given my projects all away as gifts. Their expressions are priceless! oooh! I love that quilt! What a great quilt design! What a little sweetie boy. I used to have one of those; now he is 20 and back at the dorms! Oh, this is a precious post, I love those photos of cute little boys. 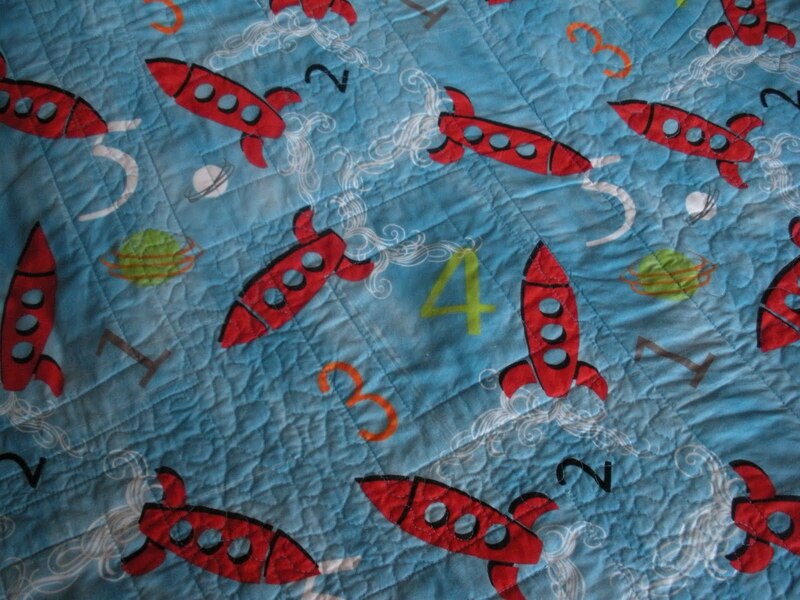 Your rocket quilt is AWESOME! Good job!